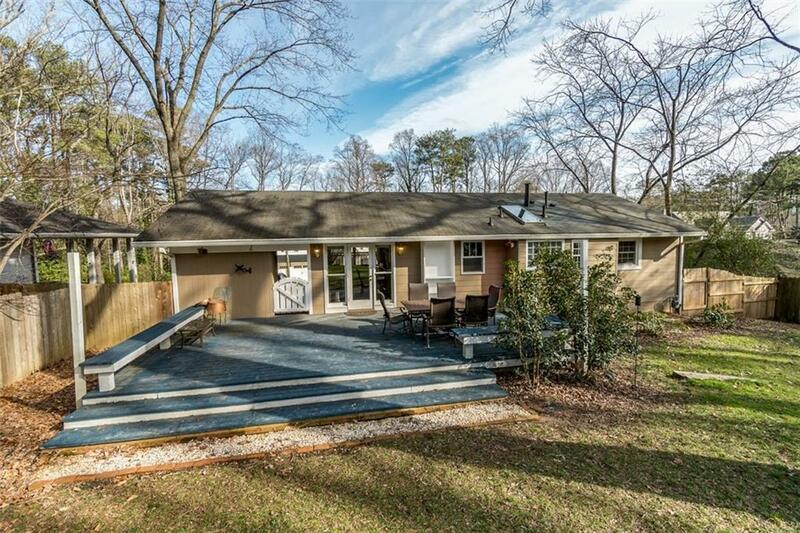 Renovated ranch style home with the BEST backyard in Ashford Park! Kitchen with open floor plan and nice stainless steel appliances included. Hardwoods throughout and tile in bathrooms. 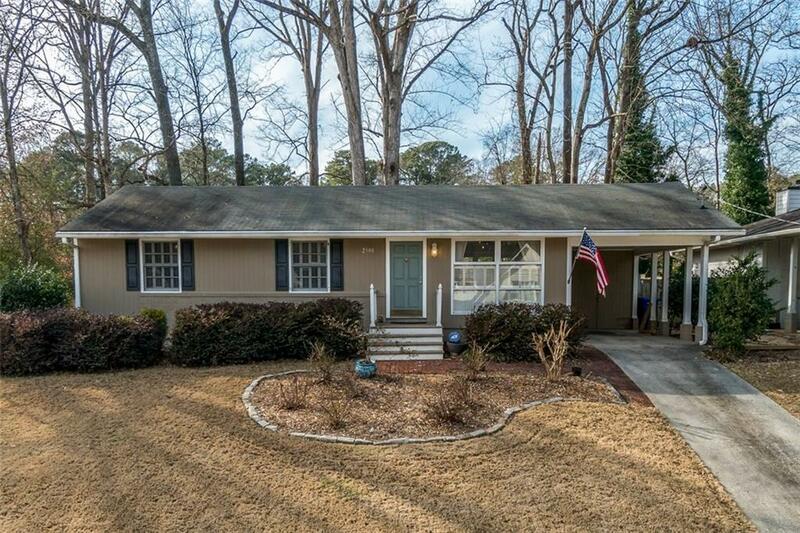 Large lot with 78' of frontage for someone who wants to buy with the intent to one day rebuild in the same neighborhood. Walkable to Ashford Park. 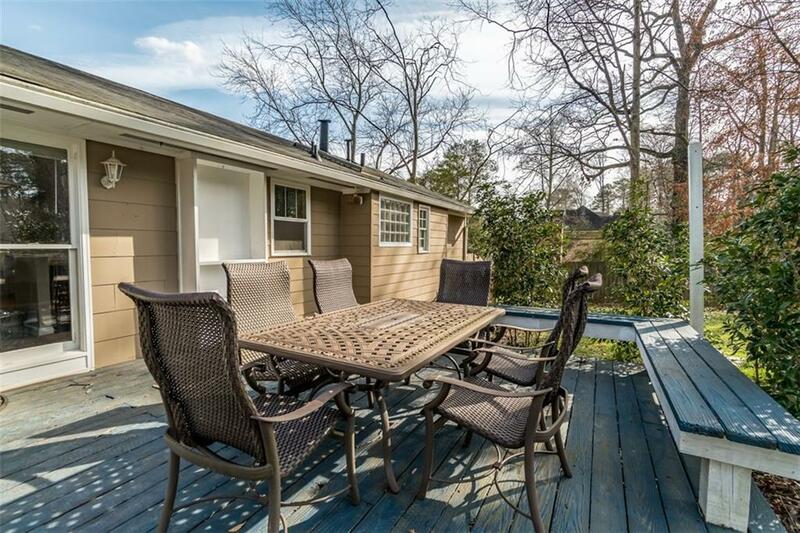 Backyard and deck are excellent entertaining spaces for Grilling out, hosting a dinner, roasting marsh-mellows over the fire pit. 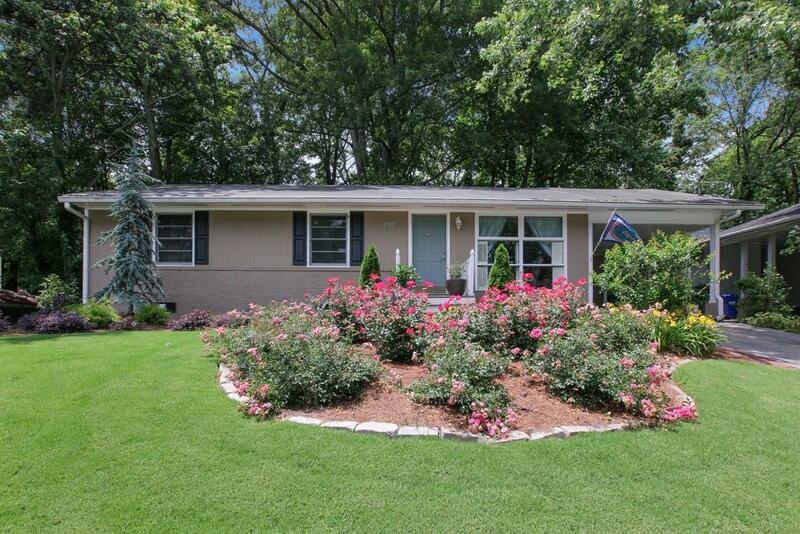 Yard blooms beautifully in the spring! Sturdy storage shed recently built in backyard for outdoor equipment.